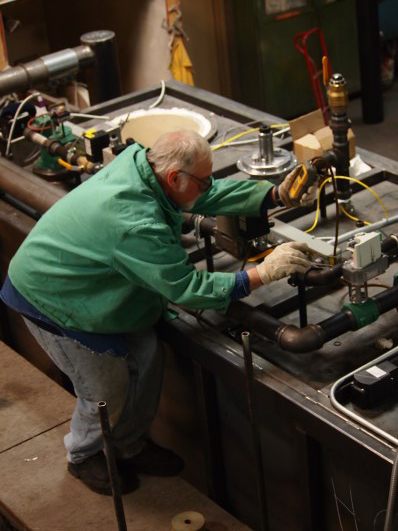 Cremation Systems Service Department insures that your CFS 2300 retort will continue to operate like new. Cremation Systems’ skilled Service Technicians provide full service for CFS 2300 cremation retorts, as well as all competitive units. Technicians provide retort inspections, and can troubleshoot and repair all combustion, control, and mechanical issues that may arise. Our proprietary Tek Marshal Internet Retort Diagnostics allows Cremation Systems personnel to identify many common causes of retort problems without requiring a visit from a service technician. 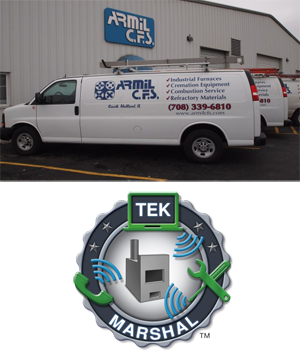 Tek Marshal is standard on all CFS 2300 cremation retorts.